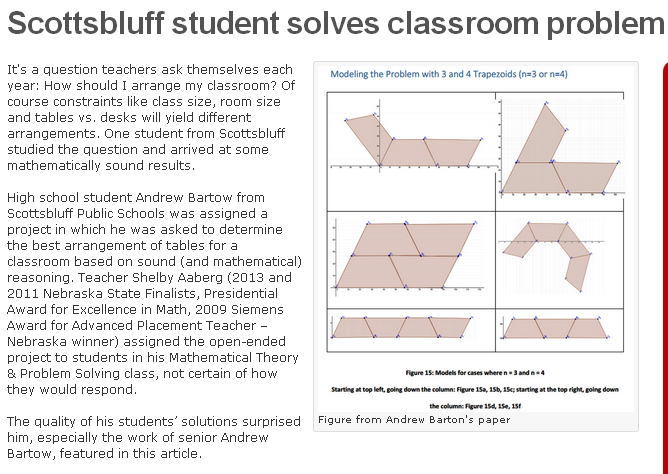 Here is the direct link to the article regarding Andrew Bartow's solution to the classroom seating problem. Special thanks to the University of Nebraska - Lincoln Center for Science, Mathematics, and Computer Education for providing the opportunity for my student to publish his solution. 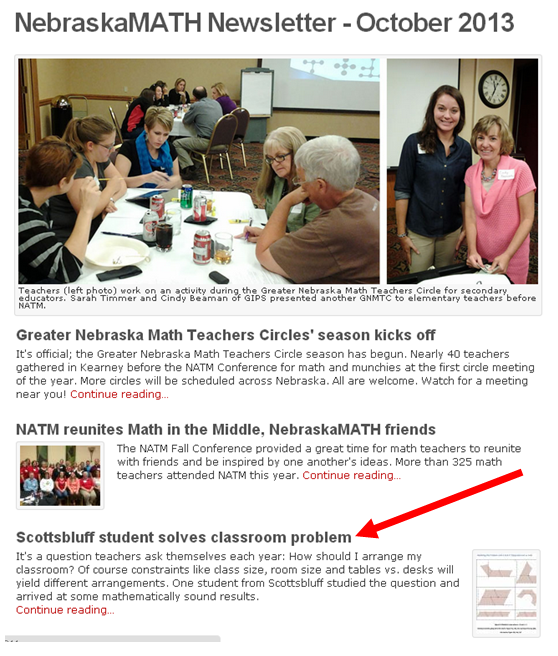 Posted in Geometry, PBL: Problem Based Learning on October 4, 2013 by Shelby Aaberg.